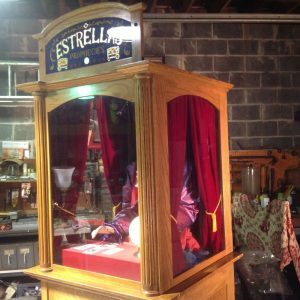 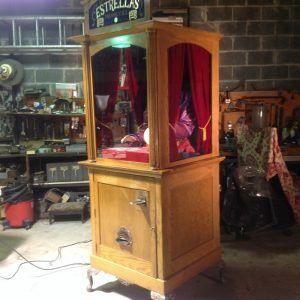 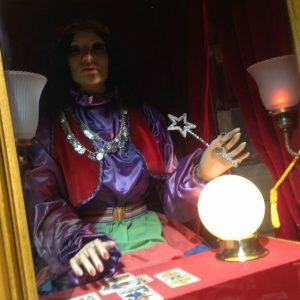 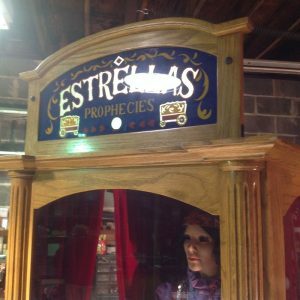 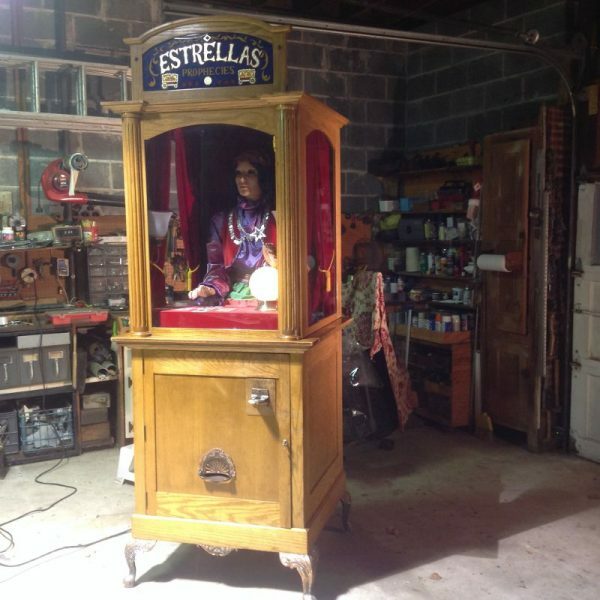 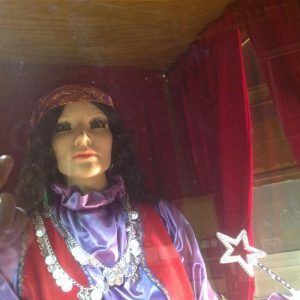 Wonderful limited production older arcade coin operated Estrella Gypsy fortune teller machine in as found working condition. 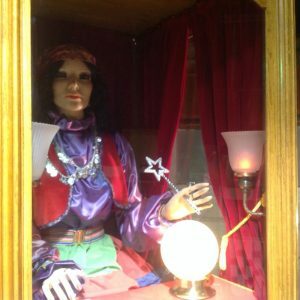 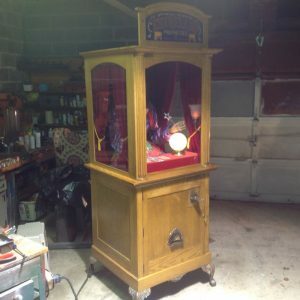 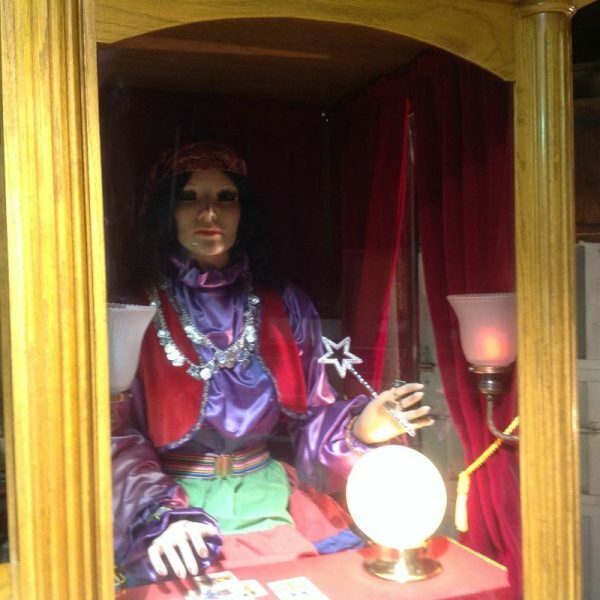 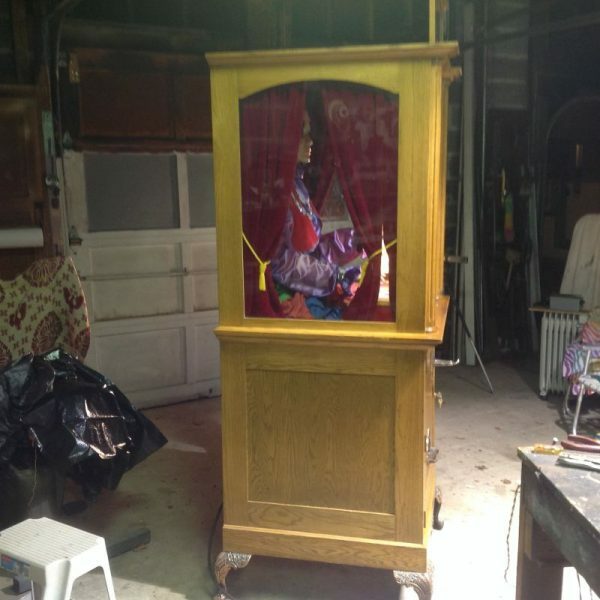 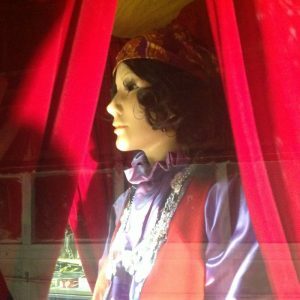 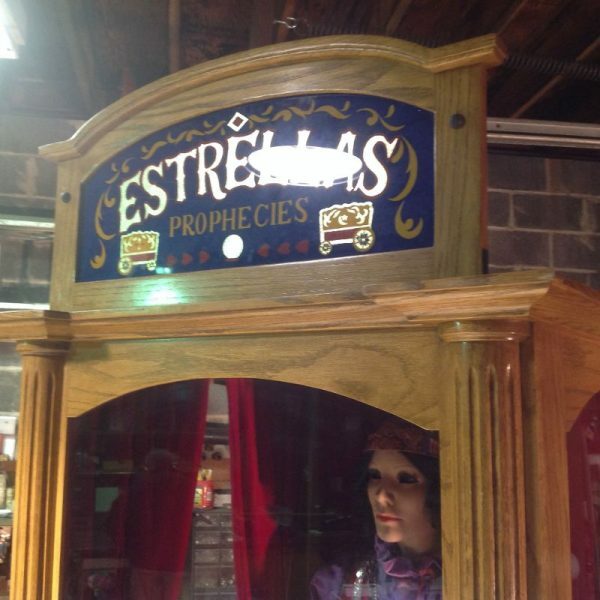 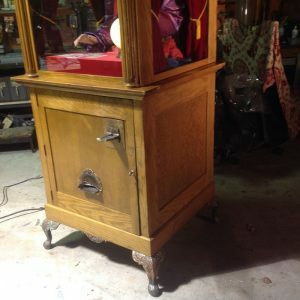 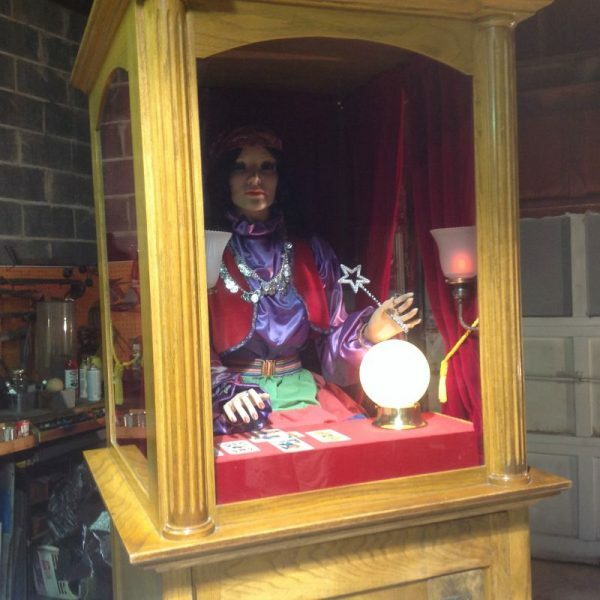 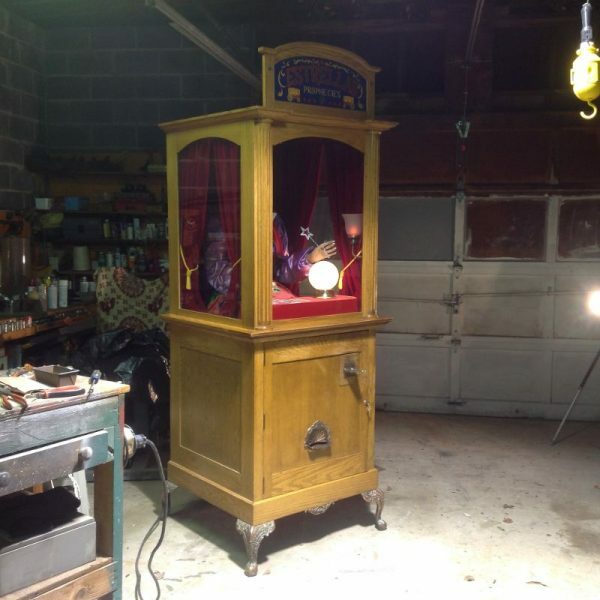 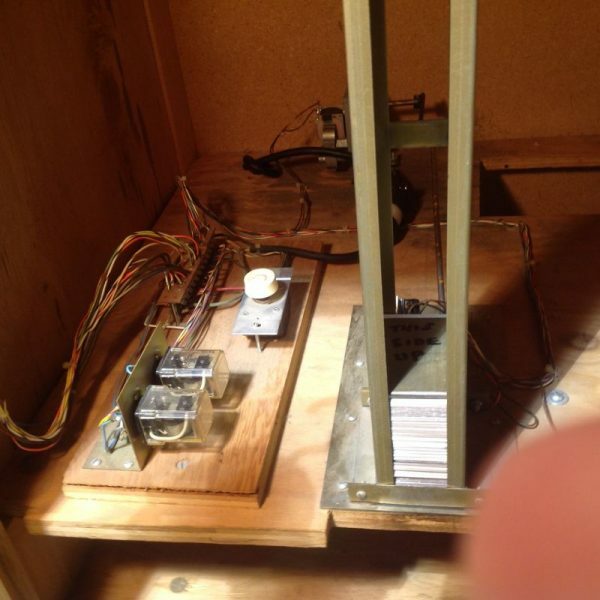 Oak cased fortune teller machine stands over 7′ tall with ornate metal castings. Machine dispenses a fortune card with the insertion of a coin. 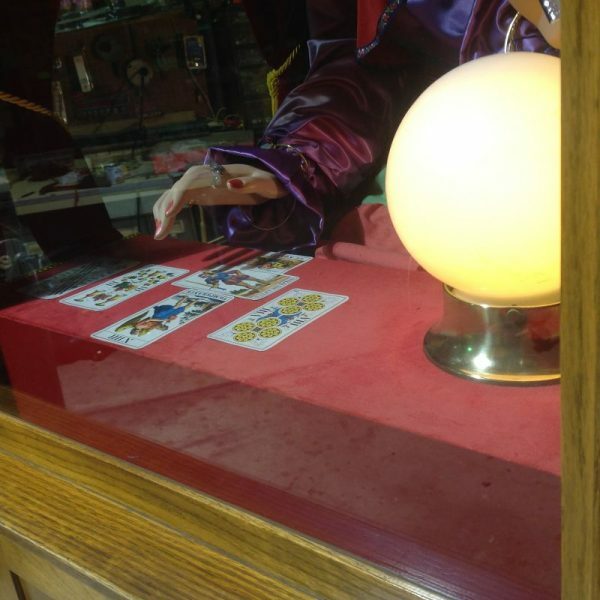 Estrella moves her head side to side as the left arm/hand moves up and down while the right arm moves left to right across the fortune cards. Her chest also heaves giving the appearance of breathing. She leaves you with the impression she is watching you closely. Very well constructed and works fine. Comes complete with a large supply of fortune cards. 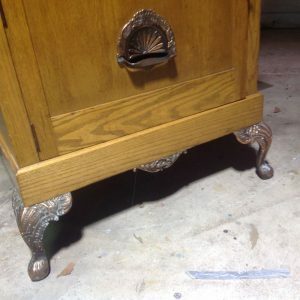 Don’t let this get away………..